Developing your own Microsoft Access bill of materials management software is certainly attractive. After all, you just want a list of parts and quantities, right? 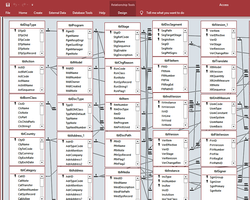 And isn't this a perfect use of Microsoft Access or other inexpensive desktop database? Internally-developed BOM databases can become enormously expensive. Your users will demand more features, and you'll be spending your time developing and managing your system. Compare the cost of your time with an affordable PLM system: you'll discover that our professionally-developed software is far more cost-efficient. Creating a useful bill of materials database application is difficult and time-consuming, and requires the complete understanding of subtle business rules for revision control and change processing. How will you ensure the preceding revision is canceled when the new revision is released? Will new item revisions automatically replace canceled revisions? How are units of measure converted? Do your users want to attach design files and assembly instructions to items on the BOM? What's the best recursion routine for printing indented product structures? What performance can you expect from your Access bill of materials database as your company grows? Do you really want that phone call every time someone has a question? What starts out as a "fun little project" quickly becomes a major distraction. Fortunately, there's an easier way... Let our BOM database experts do it for you! 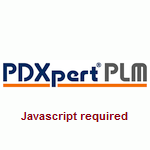 PDXpert PLM is very customizable, and easy to use and implement. I have experience with more expensive modular systems and PDXpert can pretty much do what any of those expensive ones do. Leverage our man-years of professional software development at a substantially lower cost than an in-house BOM software development project. We'll let you focus on your company's product priorities. PDXpert PLM software can increase sales revenue through faster product releases; lower product costs by using more accurate BOMs; and reduce administrative overhead by providing important supporting information (like cost and material roll-ups) automatically. PDXpert PLM has been specifically designed for small and mid-sized companies moving up to automated bill of material management. It's easy for users to find their items using free-form text search, then create complex products by simple drag-and-drop BOM construction.